Yesterday was a super lazy day. A day where I only got dressed (in sweatpants and an old shirt) because I had to go on an errand. A football and chili day. Taking stock of what was in the pantry, I realized I didn’t have everything that was needed for my usual chili. I was lacking ground beef, tomato juice, and a couple different kinds of beans. Pretty much all the ingredients for chili. Hmmm. I was already back from my errand, and going out again was not an option for me. 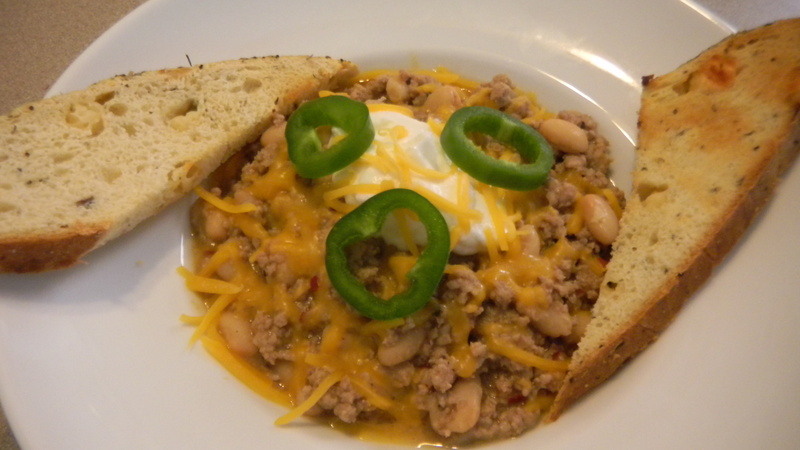 I did realize I had quite a bit of frozen ground turkey, and a ton of great northern beans (white beans). That’s when it hit me – white chili. I had seen this recipe a while back, but I never got around to making it. It came out great. 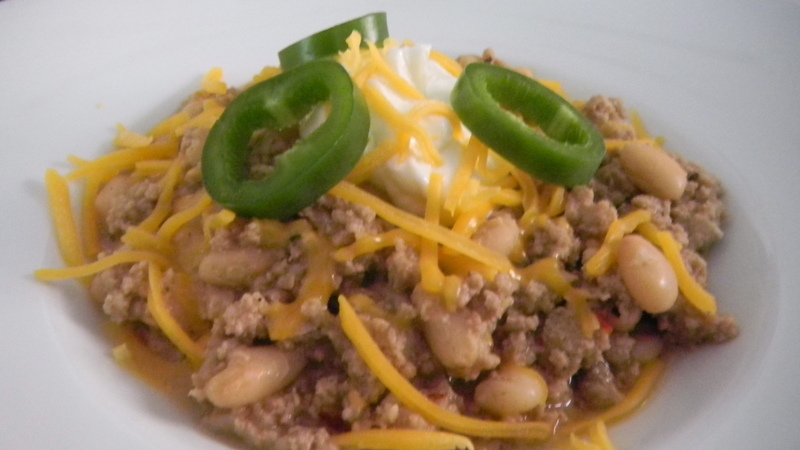 Personally, I thought white chili was both easier to make and tastier. Extra points for it being healthier too (turkey instead of beef). I didn’t measure any of the spices, and just kept adding more until I liked the taste. I felt so lazy that I didn’t even make the jalapeno cornbread I intended as the side dish. Instead, I took out the rest of the Asiago bread from the farmer’s market that we had frozen. I put it in the oven for a few minutes, until it got a little toasted. The bread went with the chili perfectly. It was a nice little Sunday.